This weekend is Daylight Savings, which means it’s time to adjust your clock and “fall back” an hour this Sunday at 2 am. 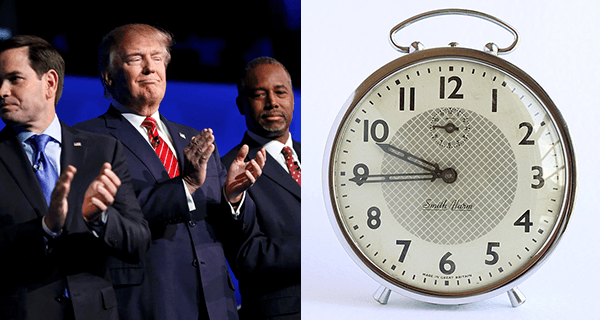 However, the Republican party is hoping to take things a step further backwards this year by urging citizens to set their clocks back a little earlier—to 1952. Requests to use Cher’s “If I Could Turn Back Time” were reportedly turned down by the artist.